These exercises are for building stronger, tighter arm muscles. Building strength and muscle mass in the arms isn’t just for show. It is very important for activities of everyday life. Hard, male workout for the gym. 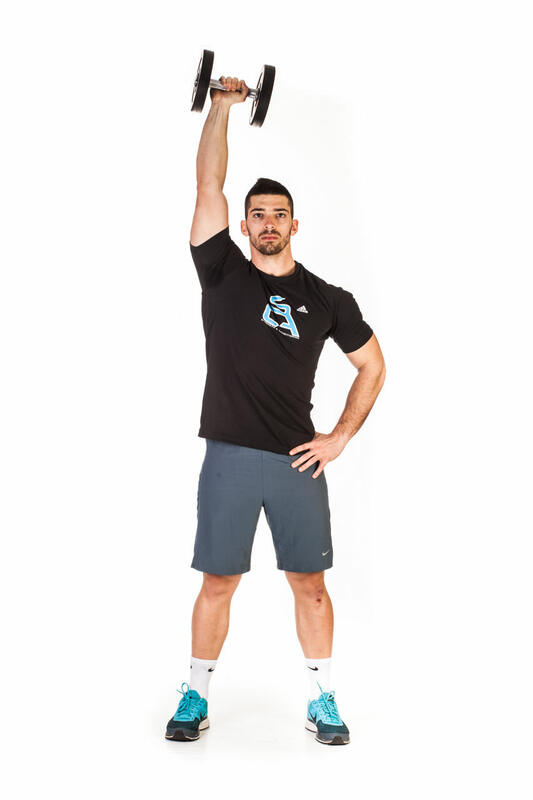 Take a dumbbell in each hand and stand with your feet shoulder width apart. Raise the dumbbells to head height, put the elbows out. 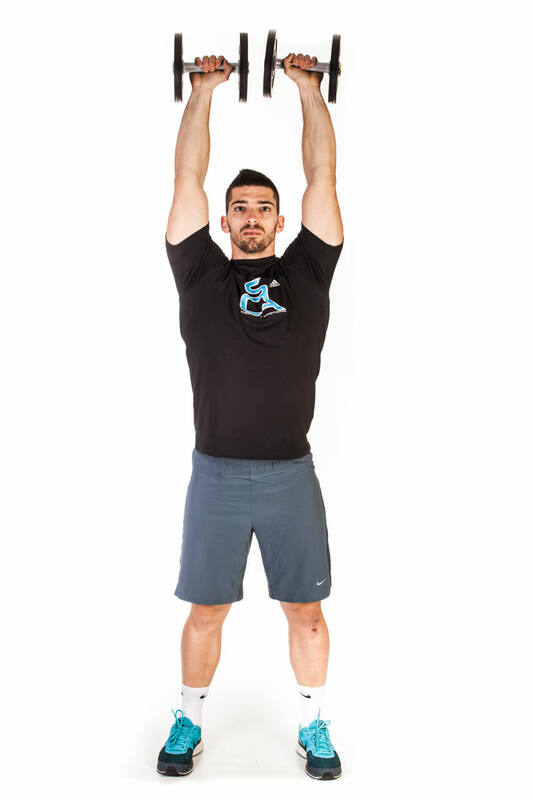 With no leg drive or leaning back, extend through the elbows to raise the dumbbells together directly above your head. Pause for a second. 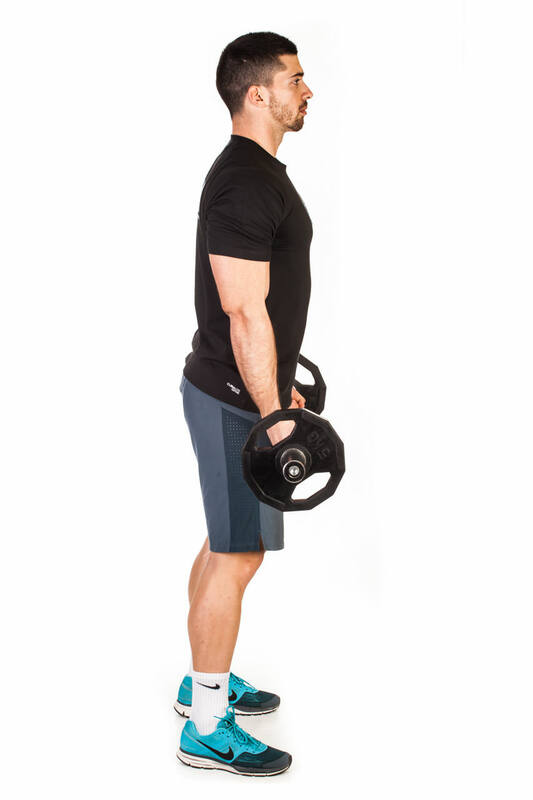 Stand up straight while holding an EZ curl bar at the wide outer handle. 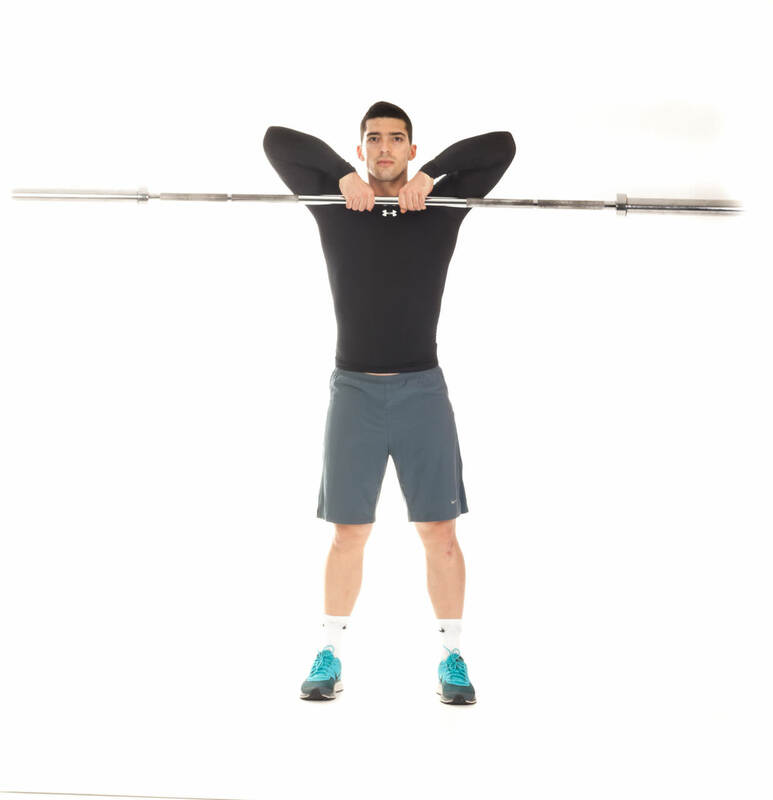 The palms of your hands should be facing forward and slightly tilted inward due to the shape of the bar. Keep your elbows close to your torso. While keeping your upper arms stationary curl the weights forward while contracting the biceps. Focus on moving your forearms only. Continue to raise the bar until your biceps are fully contracted and the bar is at shoulder level. Hold the top contracted position for a moment and squeeze the biceps. Slowly lower the bar back to the starting position and repeat the exercise according to the training plan. Grab a dumbbell and stand up straight. 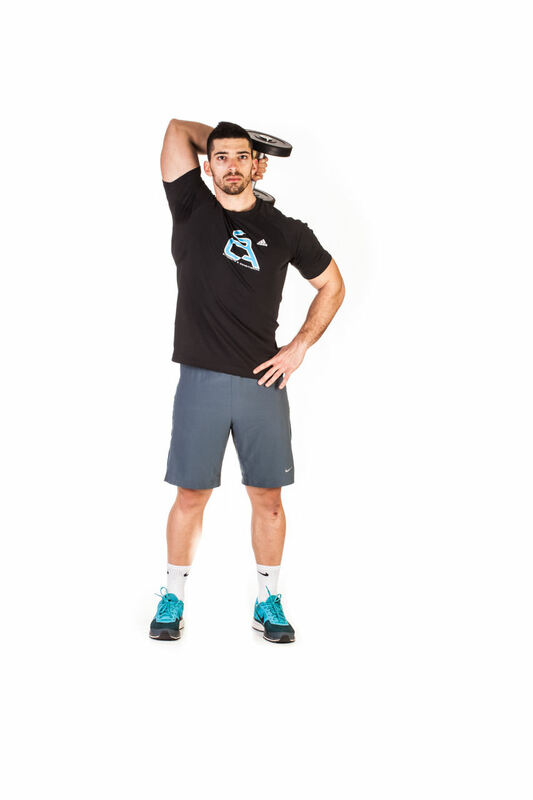 Raise the dumbbell up to the shoulder height and then extend the arm over your head so that the whole arm is perpendicular to the floor and next to your head. The dumbbell should be on top of you. Put the other hand on the waist. Rotate the wrist so that the palm of your hand is facing forward. Slowly lower the dumbbell behind your head as you hold the upper arm stationary. Pause when your triceps are fully stretched. Return to the starting position by flexing your triceps and repeat the exercise according to the training plan, then switch arms. 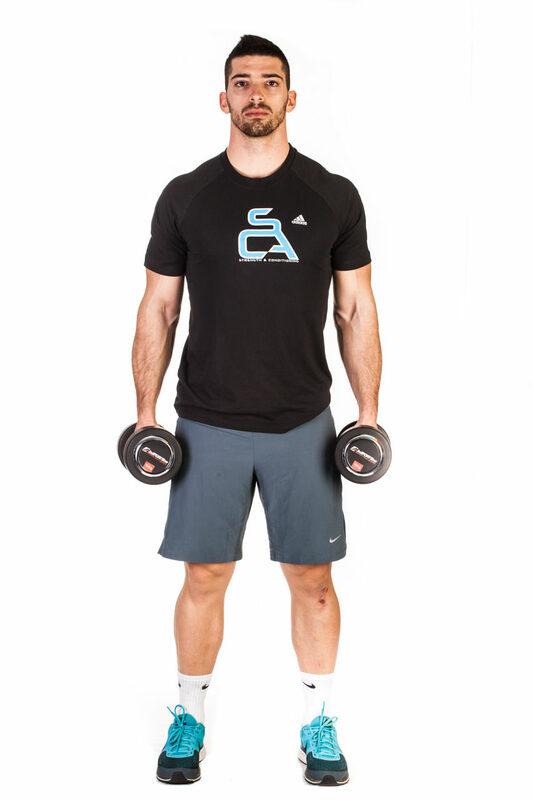 In a standing position, with your feet shoulder width apart and extended arms, hold a pair of dumbbells at your sides. 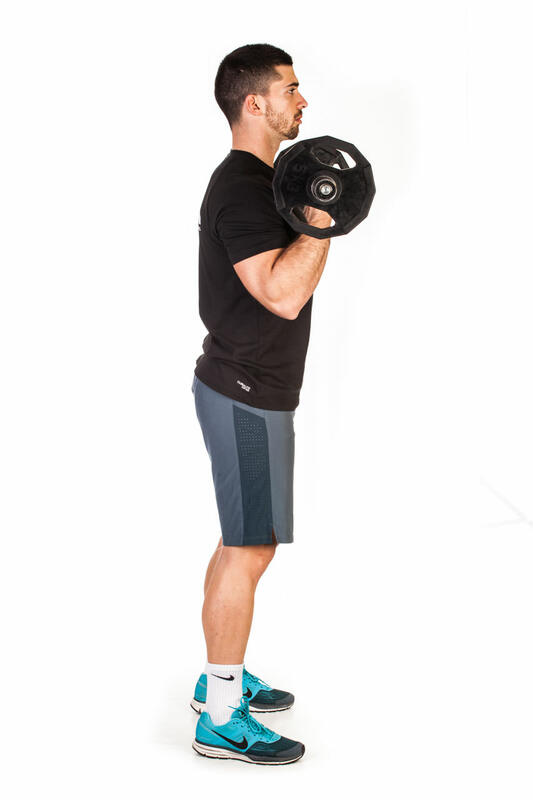 Keeping your elbows slightly bent, raise the dumbbells lateral to shoulder height, avoiding any swinging. At the top of the exercise move the dumbbells in front of you, keeping your arms extended. Lower the dumbbells with a controlled motion. On the next repetition, raise the dumbbells in front of you to shoulder height before moving the dumbbells laterally to your sides. Lower the dumbbells to the starting position and repeat the exercise according to the training plan. 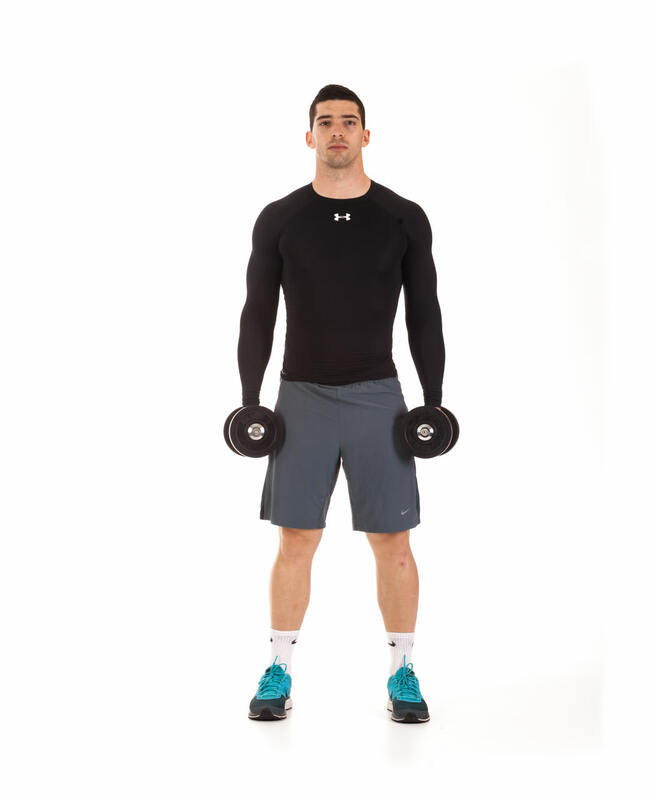 Stand up with your torso upright and a dumbbell in each hand being held at arm’s length. The elbows should be close to the torso. The palms of the hands should be facing your torso. 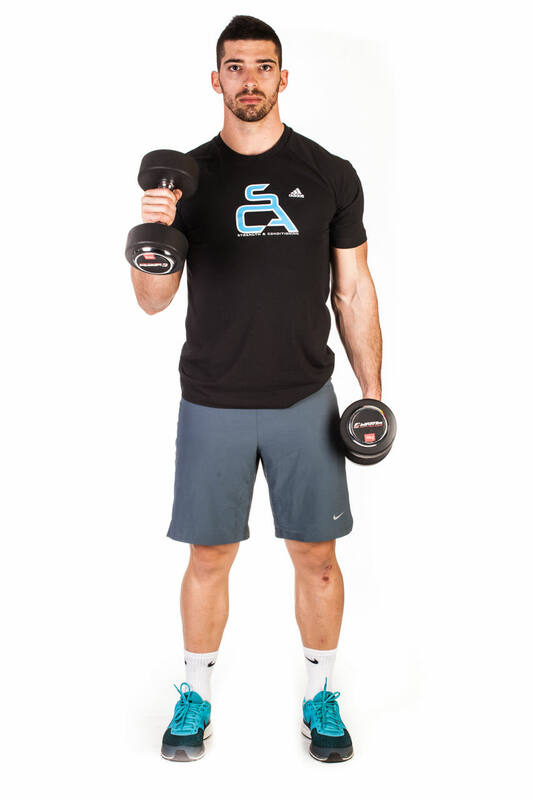 While holding the upper arm stationary, curl the right dumbbell forward while contracting the biceps. 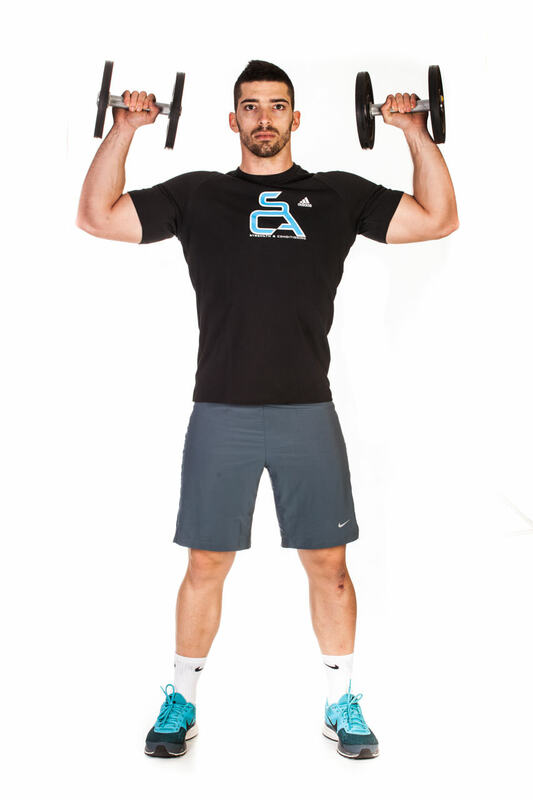 Continue the movement until your biceps is fully contracted and the dumbbells are at shoulder level. Hold the contracted position for a second as you squeeze the biceps. Slowly begin to bring the dumbbells back to the starting position. Repeat the exercise according to training plan then switch arms. With a dumbbell in each hand and the palms facing your torso, bend your knees slightly and bring your torso forward, by bending at the waist, while keeping the back straight until it is almost parallel to the floor. 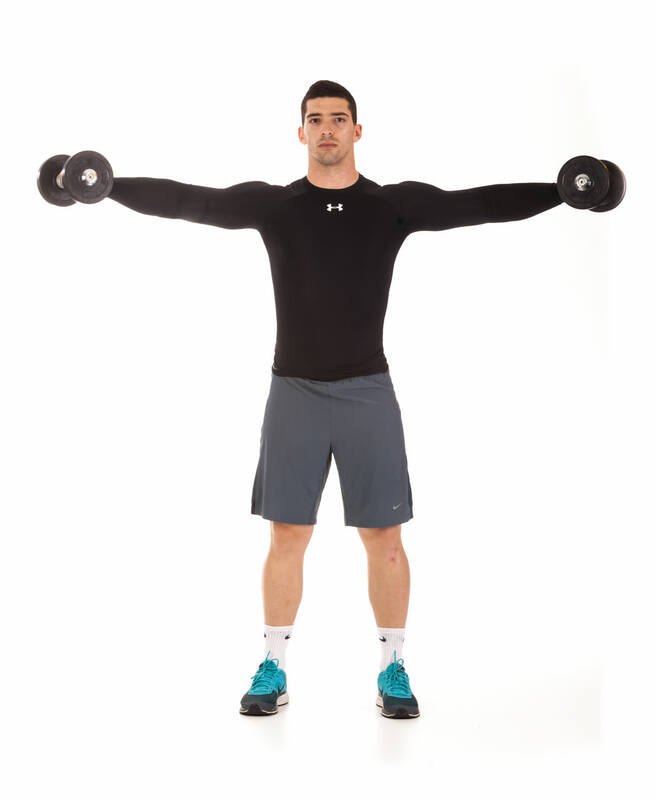 The upper arms should be close to the torso and parallel to the floor while the forearms are pointing towards the floor as the hands hold the dumbbell. 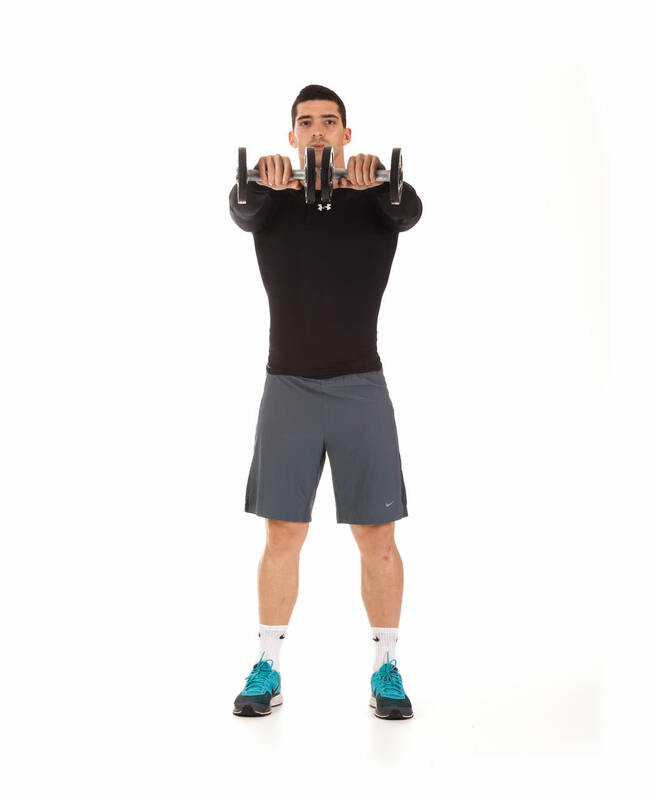 Keeping the upper arms stationary, use the triceps to lift the dumbbell until the forearms are parallel to the floor and the whole arms are extended. Only the forearm moves. Hold for a second at the top of contraction. Slowly lower the dumbbells back to their starting position and repeat the exercise according to the training plan. Grasp a barbell with an overhand close-grip. Your hands must be very close to each other, only a few inches away. The bar should be resting on the top of your thighs with your arms extended and a slight bend in your elbows. Your back should also be straight. Lift the bar raising your elbows up and to the side. 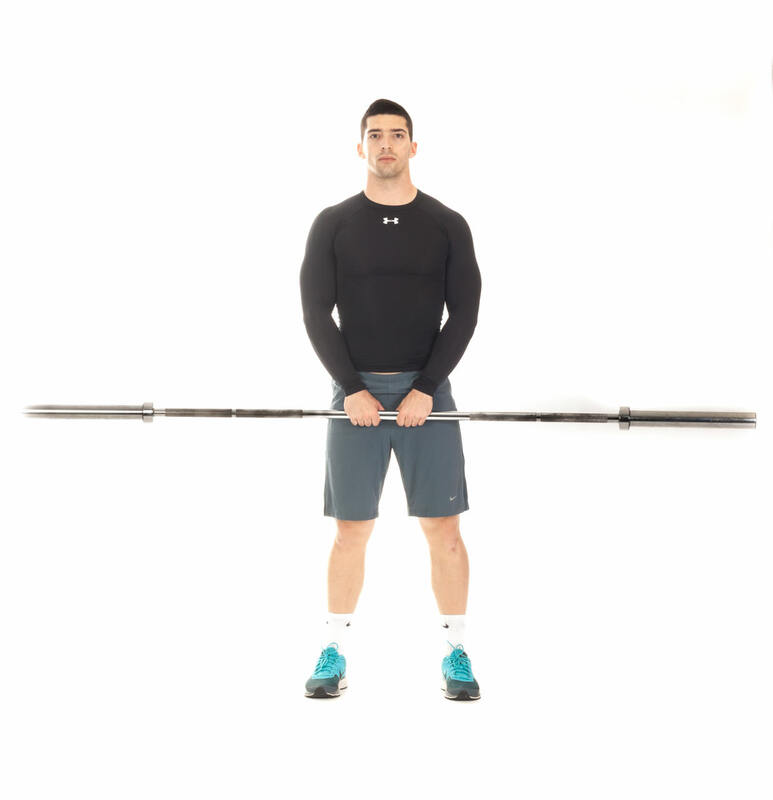 Keep the barbell close to your body as you raise it. Continue to lift the barbell until it nearly touches your chin. Pause for a second at the top of the movement. Lower the barbell back down slowly to the starting position and repeat the exercise according to the training plan.